What is behind our brand? Well … our films mostly define us, but also our people. DaVinci International Film Festival’s “Outreach Program” is comprised of a team of entertainment industry professionals who continually reach independent filmmakers to build DaVinci’s brand awareness as a trusted platform for industry Creatives worldwide. MISSION: Bring the world together to celebrate independent cinema at DaVinci Film Festival’s Live Showcase Event. Expand the Festival’s international reach, by way of an Ambassador program, to build brand awareness as a trusted platform for filmmakers and screenwriters worldwide. 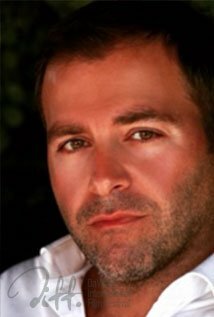 Colorado native, Chadwick Pelletier, moved to Los Angeles in the late 90s, to pursue a career in the entertainment industry. 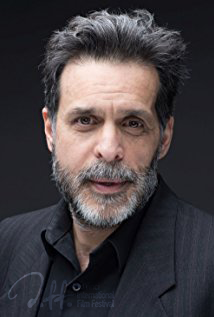 He is credited on both sides of the camera as an Award-Winning filmmaker and WGA screenwriter, and is the founder and owner of a number of successful industry start-ups, including Veritas Film & Television, FamouslyWrecked, and the DaVinci Film Festival. Chadwick is a serial entrepreneur, who launched the CoffeeRing Entertainment division of VFT as a way to bring spirited and professional filmmakers together to produce independent pictures. Pete made his way from Chicago to L.A. many pilot-season-moons ago, arriving at his present position here at DaVinci Film Festival by way of an enlightening route called Highway Circuitous. From budget analyst to options-trader to corporate controller to theater owner to vaudevillian-crooner to writer to actor to producer. This would be the left-to-right-to-center-brain avenue called oblique. Sure he could have gone straight from Finance major to movie Producer, but where’s the pain-filled fun in that? Pete currently works as creative partner at CoffeeRing Entertainment LLC and is the Festival Coordinator at the DaVinci Film Festival. Holly joined DaVinci Film Festival in October of last year (2017) as a part of our Ambassador Outreach Program to spearhead efforts in Vancouver and Toronto film markets. She is responsible for recruiting new filmmakers from out film school partners in Canada, and develop our non-profit arm, DaVinci Film Institute. Holly also develops foreign strategic partners for our student Grant Program out of DFI. Rudy operates as one of our European DIFF brand Ambassadors. 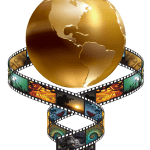 As a new creative platform, DaVinci International Film Festival continually looks for ways to grow brand awareness with strategic partners as a cornerstone of our model. Rudy assists this effort both stateside and abroad, by developing relations, cross-promotions, and orchestrating coops with foreign partners. In addition to his Ambassador work at DIFF, he donates a portion of his time in a counsel advisory capacity for the LLC. Karim comes to DaVinci Film Festival as a long-time business partner and financial advisor for creative IP, acquisition, and property development out of Veritas Film & Television. He also develops relations with foreign strategic partners for our festival, and sits on the DIFF Jury for feature and short narrative formats. As a Chilean national, Karim spearheads much of DaVinci’s efforts in South America markets and the independent filmmakers union. Danielle operates as DIFF’s European contingent (U.K.) to assist in foreign relations and independent filmmaker outreach abroad. 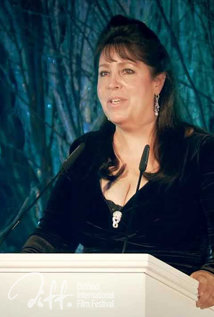 She is a seasoned, and award-winning, Producer, screenwriter, Executive Producer and owner of London Film & Television Group, with offices in London, Los Angeles, and New York City. In addition to her work in the entertainment industry, Danielle also works as the Prime Minister’s Ambassador in Creative Industries.